What would you do if you were running for the GOP U.S. Senate nomination in South Carolina and the newspapers were about to report that your campaign spent $76,000 in the previous quarter, but managed to raise only $52,000 to cover those expenses? What would you do if your campaign has such meager funding on hand that it seems unlikely you would be able to compete with far better funded primary opponents and pay for the expensive, late campaign media buys? What would you do if your business has failed and your personal finances are in crisis, with personal debt totaling between $1.1 million and $3.1 million owed to 29 creditors? If you are a career politician like Lee Bright, you might attempt to divert attention by passing off a fraudulent poll that your own campaign has paid for and that distorts your actual support. The Wenzel Strategies poll also suggests that Lindsey Graham has far greater support than has been shown in any independent and objective poll. The Bright campaign apparently hoped Lindsey would take the bait and promote Bright's fake poll, a poll that is so self-serving, even The State newspaper was forced to run a clarification. And what better relief could there be for a man with limited education, facing ruin and bankruptcy, than to secure a job offering a six year contract, a salary of $174,000, an outside earned income allowance of more than $27,000, a large taxpayer-paid staff, paid travel, housing deductions, health, dental and life insurance, a private gym and the world's best pension fund? To get all that relief from his personal crisis, Lee Bright is apparently willing to say or do anything. Bright has attempted to suggest that year-old comments made on the influential RedState blog are an endorsement, when no such endorsement has been forthcoming. In fact, the RedState founding editor, Erick Erickson, has taken to his blog to correct the false information being spread by Lee Bright. 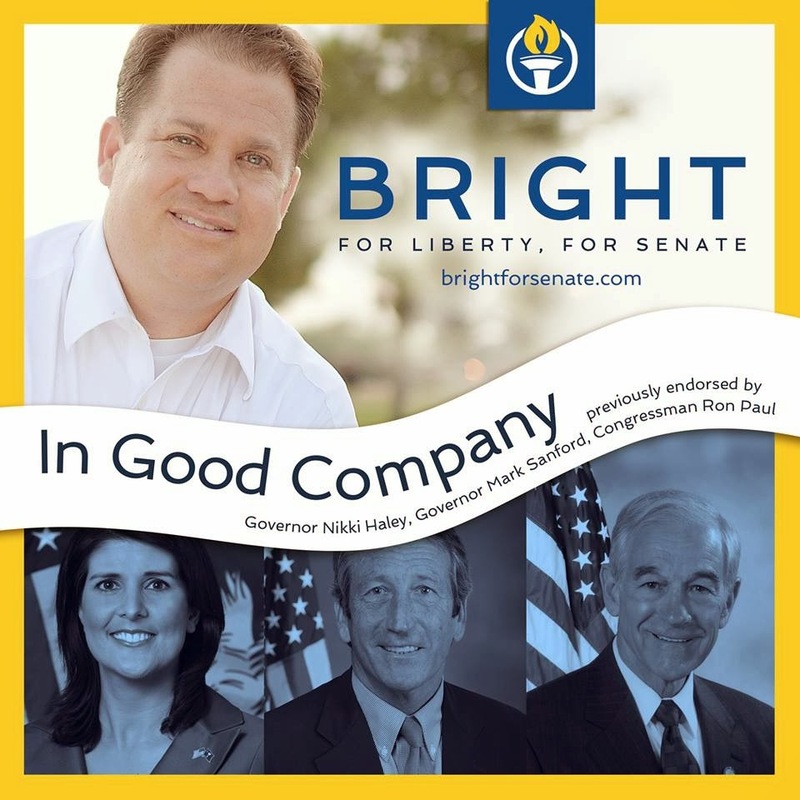 Bright has also attempted to mislead "low information voters" by suggesting that big-name political figures have endorsed his campaign, when in fact those endorsements were from previous campaigns for the South Carolina Legislature. Voters should be warned to read Lee Bright's small print. The problem in all of this for Lee Bright is that he is attempting to replace Lindsey Graham - a RINO whose duplicitous statements have, at least until now, allowed him to say one thing in South Carolina -- even sounding like a conservative in election years -- and then join Chuck Schumer and John McCain in supporting policies opposed by most South Carolinians. We don't need to replace one deceitful, career politician with another. If Lee Bright cannot be honest and straightforward with South Carolinians when he is seeking their votes, what should we expect if he were to get to Washington? Fortunately, Republicans in South Carolina have a far brighter option this year -- Bill Connor. Connor has never served in political office, but he has served the people of our state and nation for nearly 24 years. Unlike Bright and Lindsey Graham's other primary opponents, Bill Connor is a veteran, having served as an Airborne Ranger Infantry officer with active duty combat in Afghanistan. Bill currently serves as a Lt. Colonel in the US Army reserves. For Bill Connor, election to the United States Senate is a continuation of public service and a defense of liberty which began with his graduation from The Citadel. He is first and foremost dedicated to the God-given rights protected by the United States Constitution. Unlike Justices Kagan and Sotomayor, for whom Lindsey Graham provided key votes, Bill does not see the Constitution as an evolving document, but rather an immutable bulwark in defense of American freedoms. He is committed to defending the common-sense, kitchen table values shared by most South Carolinians, and his votes in the United States Senate will reinforce the votes of Senator Tim Scott, not cancel them out. A committed Christian, Bill Connor will not devote his campaign to lies and deception. Campaigns are long, costly affairs that often shed more heat than light, but as the campaigns of Bill Connor and Lee Bright are demonstrating, they can also help the average voter glimpse the character and integrity of those who would be our representatives and leaders. South Carolina does not need any further embarrassment on the national stage. In Bill Connor we have a gentleman whose personal integrity and accomplishments in his academic, military, personal and professional life will make us proud. 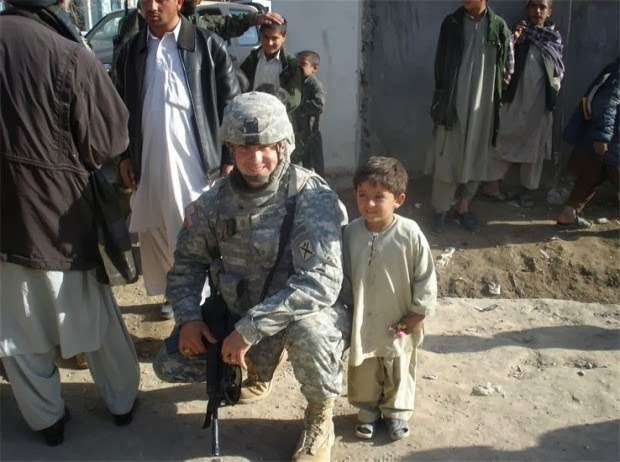 He is a citizen soldier who is battle hardened and will fight daily as a citizen Senator to restore our republic, and the freedom, opportunity, strength and prosperity which have been its hallmarks.